A story you won’t find on the BBC website but which has appeared in the national press today is the final sealing of the lid on the always-doomed BBC Jam. Another £75 million of public funding down the drain following in the noble footsteps of UKeUniversity, NHSU and many more before. The total, so far, easily tops £200 million. Then there’s the disappointing OpenLearn from the OU, and dozens of other completely useless EU funded projects, running to tens of millions. BBC Jam was always going to land jam side down on the floor. The commissioning was hapless, the content useless and the management hopeless. So what happens next? Only in the topsy-turvy world of government/BBC politics could the following happen but it seems the BBC is to forge ahead with some sort of large Vocational Training e-learning content initiative. Yes, it’s Alice in BBCWonderland again. Let me replay that one. They screw up a £75 million project, proving themselves incapable of handing basic curriculum content, so government will fund them to produce vocational content. Are they MAD? What did the advert or ITT say? 'Must have proven track record in completely screwing up large-scale, publically funded projects'. In addition, 'the organisation must be totally remote from the real vocational world and managed by Tristians'. The phrase ‘lunatics running the asylum’ comes to mind. Let’s recruit bank robbers to run our banks. No, I have a better idea, let’s recruit a whole army of ageing technophobes and broadcast people to run our e-learning policy and research – sorry, I nearly forgot, we’ve done that already in DIUS and BECTA. We spend untold sums of money in technology in education and training but it seems to end up being spent on the wrong people in the wrong institutions. They don’t exactly mix. It’s not something the average BBC employee knows much about, never mind the management. You will, of course, have to enter through the tradesman’s entrance to access the content. MIT forge ahead on their Open Courseware initiative with some really smart search software that searches recorded lectures. Really clever and really useful. It begs an old question - why on earth do teachers, lecturers and trainers refuse to record tehir work? Learning needs reflection, practice and replay, so why do these professions deny learners the very things they need the most. It's a sort of insane, inversion of need. So Blackboard win millions of dollars in their case against Desire2learn. The US Patent and Trademark Office is turning into a nationalist protection racket. The whole affair is a disgrace and a boycott of Blackboard's products is in order. The very idea that Blackboard invented multipe user accounts and access to learning resources is nothing short of software fascism. This should give open source VLE providers a real boost. Long live Moodle! As a board member of a large public sector charity I was ’subjected’ to a diversity training course this week. There we were, twenty odd, forty plus adults being talked at by a trainer, an average looking white guy. The tone was one of a patronising parent ticking off his recalcitrant teenage offspring. After the compulsory ‘talking to’ we did the clichéd ‘break-out’ sessions, where we were asked to sort several statements into three piles – true, false and don’t know. The statements were banal, sometimes plain wrong and not very useful. Here’s an example, “Can you advertise for a Welsh speaker who must also be of Welsh origin.” No was, of course, the obvious answer. So what was learnt here? How many non-Welsh Welsh speakers are there? To what problem was this exercise a solution? Did you know that Chinese adults are healthier, on the whole, than British adults? No, then again it’s not a fact I’ve ever reflected on. There was a moot point about the percentage of people who were born disabled. This is famously misleading as many disabilities have a mixed nature/nurture relationship, including mental illness, even short-sightedness has a genetic component. It was a tired old format. A more serious issue was why such training takes this form. We were talked at (hopeless for the deaf) and inappropriate for learners with learning difficulties, as it went at the pace of the trainer’s delivery, not the learner. We were bombarded with 100 pages of text – inappropriate for learners with dyslexia and literacy problems. The forms were all on CD-ROM. Why not on the intranet where they should be? E-learning with its flexibility around pace, media, screen readers, text magnification etc is the obvious answer. It’s the training that needs to be more diverse. 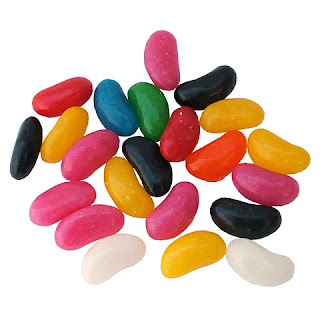 There were two very expensive, full-colour brochures full of those stock colour photographs you only ever see in corporate brochures – darts bang in the middle of targets, a jar of jelly beans, smarties, sharpened pencils, dice strewn across a table. Completely over-engineered. This stuff should be online. The written case studies were a hoot – the West Bromwich Building Society, Ford and Bernard Matthews. West Bromwich Building Society – the brochure proudly claimed that a whopping 9% of their income was from ethnic communities – this is bang on the English average for ethnic population mix, but way below the 13% for the Midlands. and West Bromwich, not a fact to be proud of. Other astounding examples of progress - 34% of their managers are female and they’ve introduced Sharia compliant mortgages – all in the same breath! Ford’s token evidence includes brand awareness figures of 42% and 41% for sponsored events. So that’s what diversity policy is about at Ford – selling more cars. At Bernard Matthews, the brochure tells us, labour turnover fell from 57.9% to 42.9% - what an achievement! Let’s ask ourselves whether a staff turnover of around 50% may have something to do with the £5.72 hourly rate. The business case for diversity training was well nigh invisible. What is really worrying is the recommendation for Complete screening, impact assessments, monitoring and publishing. There’s a small army of champions and data gatherers, spending huge amounts of time on fruitless detective hunts, producing endless policy documents and amendments to such polices. All this does is bog organisations down in paperwork. To what problem is this a solution? These organisations are full of people who are sensitive to these issues. There’s no sense of proportion here. The time and cost associated with this process is enormous and wasteful. And just for the record – read Professor Frank Dobbins Harvard report on diversity training in 702 organisations. It doesn’t work, and worse, is often counterproductive. OpenLearn or is it LearningSpace (brand confusion is not a good start), is the UKs answer to MITs Open Courseware. After chewing through several million in funding I had high hopes, but here I am feeling rather deflated after wading (literally) through a great many of its, supposed, courses. It’s really no more than a repository of old OU print documents with some tools on top. There has been no attempt to do anything remotely interesting or different. This is really a huge exercise in document management, with a few images and videos added in just a few of the modules. They seem to have taken a few box loads of historic OU curriculum texts and published them online with no real adaptation or sensitivity around their online use, readability or suitability. To be honest I think I could have published this lot using free software in less than a week or two. Moodle is famously free, but dwell on the fact that the OU have spent a cool million in development time for this ONE implementation. Perhaps the most expensive free lunch on record. The good news is that this development has taken Moodle forward, solving some of its historic problems around accessibility and so on. As I sampled many of the courses it struck me how weak much of the content was in terms of academic credibility. Like many course notes written from within an institution, rather than published text, it has the feel of being cobbled together by good experts, but not the best. Much of it reads like standard, long-winded, written-in-the evening text. The writing is, on the whole, remarkably flat and dull. It’s only 5% of the OU output but the course choices do seem a little odd. I was amused to see 'Brighton Pavilion' be given the status as a course in itself, alongside major topics in history and science. The study times associated with each module seem to be grossly exaggerated. It’s so easy to just state a general activity or question, then count that as ‘study time’. That is a con. Many modules have no more than an hour of reading. Egyptian Mathematics which, according to the author, “has left disappointingly little evidence of its mathematical attainments” has just a few pages of text peppered with a few images and a short reading list. I preferred the Wikipedia entry, which had clearer structure, was better written, and gave more useful academic links and a better reading list. The Holocaust is 17 pages of dense text with not a single image in sight. How it justifies its 20 hours of learning tag is beyond me. Dance Skills was a hoot – ten pages of text and one short video. Not an image in sight. Truly amateurish. The language courses are all over the place and are often built around some idiosyncratic video but these are at least useful for many learning French, German, Spanish, with some English and introductions to Latin and Greek. The costs of the pilot have been stated at around £5.65 million. That I don’t believe, as it doesn’t include loads of other internal costs. Seems like an awful lot of money for something that is essentially a bunch of documents online with a couple of tools on top. If this had been tendered out it would have cost a fraction of the price. It could have been so much more. The levels of interaction are abysmal and there’s no real assessment. Interestingly, not a single lecture online. Maybe that’s a good thing! On the positive front, at least one institution is doing something about 21st century learning. I still love the OU and all it stands for, even if it is dragged down by the desire of its academics to mimic every other university. That wasn’t what Wilson wanted. On the whole, I find Wikipedia, supplemented by other resources such as iTUNES U, TED andGoogle Video to be miles ahead of this approach. M-learning may as well mean missing-learning – it’s is an elusive beast. 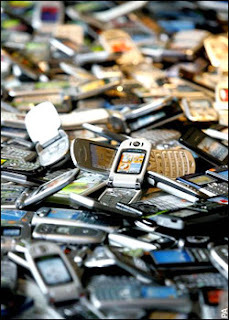 The problem is that people don’t really seem to understand what they want to do with these devices. Then they don’t know how to handle the ‘fragmented market’ problem – loads of devices with different screen sizes, memory, java issues etc. Everyone may have one but they're all different. There are loads of screen resolutions from 128x126 up to 352x416, then different memory sizes and processor speeds. Another problem is that although all have Java (literally a little computer in your phone) they all have different bugs and implementation issues. The good news is that only 4 brands of phones make up 75% of the market and with some clever coding (tiling) and screen resolution choices (71% of market has just 4 screen resolutions) you can cover most of them if you know what you’re doing . The trick is to have code that is easy to port. If you really want to know what to do on these devices try Affinity Software, Brian Rodway knows more than anyone I know about mobiles and they have a track record in delivering across large numbers of devices. One thing seems clear, that video on phones has bombed. Mobile TV has gone nowhere fast. The reason is simple enough. Nass and Reeves did the research at Stanford, and showed that the emotional impact, psychological attention and retention were all substantially reduced on small screens. Don’t do video, do text and graphic applications. Make the applications interactive; a mobile is not a passive, watching video medium. Go for quick, short pieces of standard e-learning, quick retention or assessment quizzes, even paged powerpoint or Java games. When Australia's top tennis player, Casey Dellacqua, was asked what she did for pre-match concentration, after thrashing world champion Amelie Mauresmo, she said, ‘I played Buzz’. 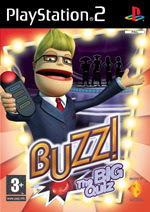 This is the strangely addictive quiz show game for the PS2. There are trivia, music, sports and Hollywood versions, packaged with four ‘buzzers’ and it’s from a UK publisher – Relentless Software. But the version I was interested in was the ‘schools’ version. I chaired a Serious Games event and saw a wonderful video of kids in a primary school being absolutely enthralled, excited and educated using this wonderful little game. No teacher or parent could possibly watch this video and not want to get this into the classroom imme diately. The KS2 versions covers the curriculum with questions on Maths, English, Science, History and Geography. It can be played in various modes and has some teacher features. The level of control is quite sophisticated, For example, if you wish to drill down in English, you can present quizzes on specific topics, such as words, sentences, punctuation or books. Apart from the odd, Daily ‘hate’ Mail stories, complaining about games being introduced into schools, where they quote religious fanatic and all-round fascist, Jack Thompson (read the profile of this sleazebag on Wikipedia), the game has received great reviews, reaching number 2 in the Playstation charts. Look out for the PS3 version, later in the year, with a feature to create your own quizzes. Now that’s an idea that should excite teachers.